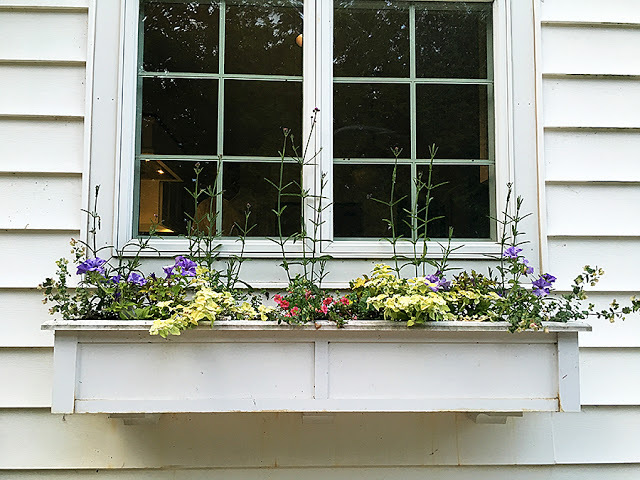 It’s high time I tell you a little about the containers I planted this year. I like to show you them early in the summer if only to prove that no container looks great when it’s first planted (and some look positively pathetic), unless you start with enormous plants, which few people do. It takes time for them to grow in and look their best. This year I tried to be a little more cohesive in my plan and as always, it started with the window box. This looks positively pathetic right now but I have hopes that it will fill in nicely without getting totally overgrown and blocking the entire view out the kitchen window. I used a palette that was at least partly dictated by the ‘Autumn Sunset’ climbing rose that grows on the trellis on the front of the house. Its flowers vary from yellow to apricot to peach and I wanted something that complimented that. My first thought it always blues, which is by far the color I turn to most often in the garden. I used a coral flower for the center, blue petunias, a bit of lime green and even some pink. I repeated this color theme in the big box by the front door. 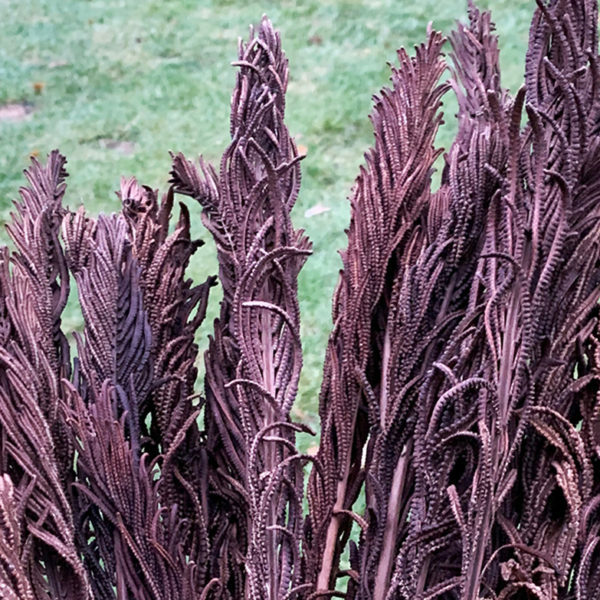 I saw Eupatorium capillifolium ‘Elegant Feather’ in a garden for the first time last year and knew I had to have it. I found it at a local nursery I’d not been to before, but the landscaper who planted it at the place I originally spotted it called it a “Dr. Suess plant.” It does have a tendency to follow the sun around. Around it I planted three purple-leafed dahlias (‘Roxy’, I believe), which I expect will do as much with their flowers as the dark, broad, foliage will do against the fine-textured Elegant Feather. 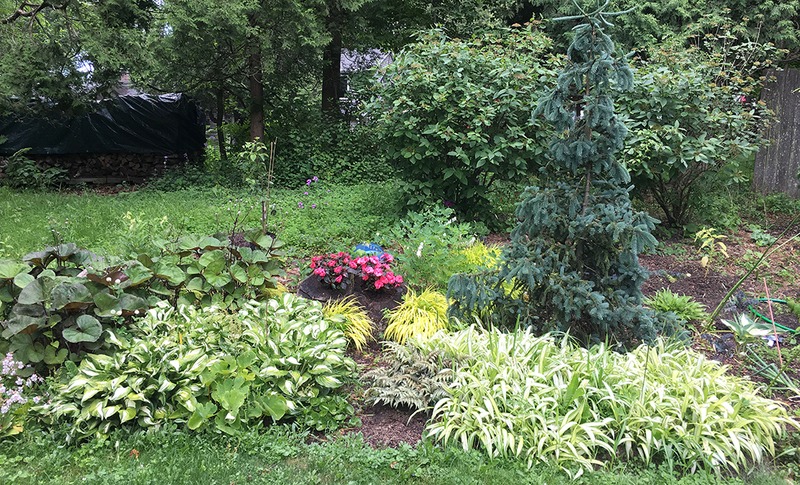 I also repeated the blue petunia, added in a purple sweet potato vine for some drape, and a new striped Superbells in a coral-type color. There was more repetition in the urn in the middle of the patio garden, which makes sense as these three containers form a triangle. 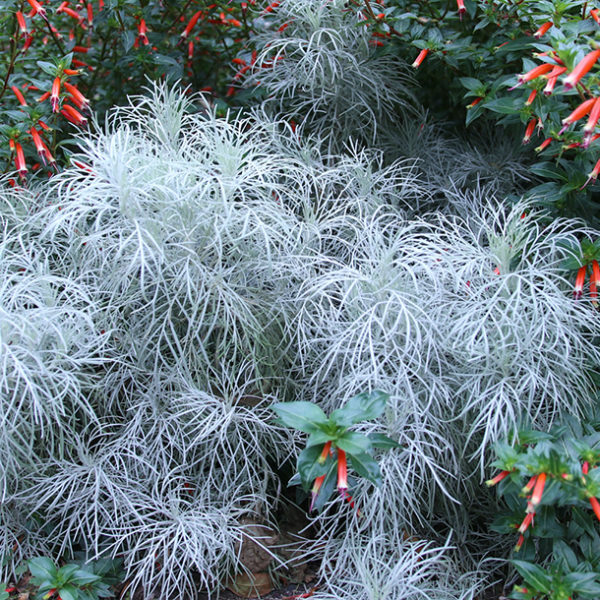 Again I used an Elegant Feather here and then kept it simple with just more ‘Coralina’ Superbells and blue lobelia. 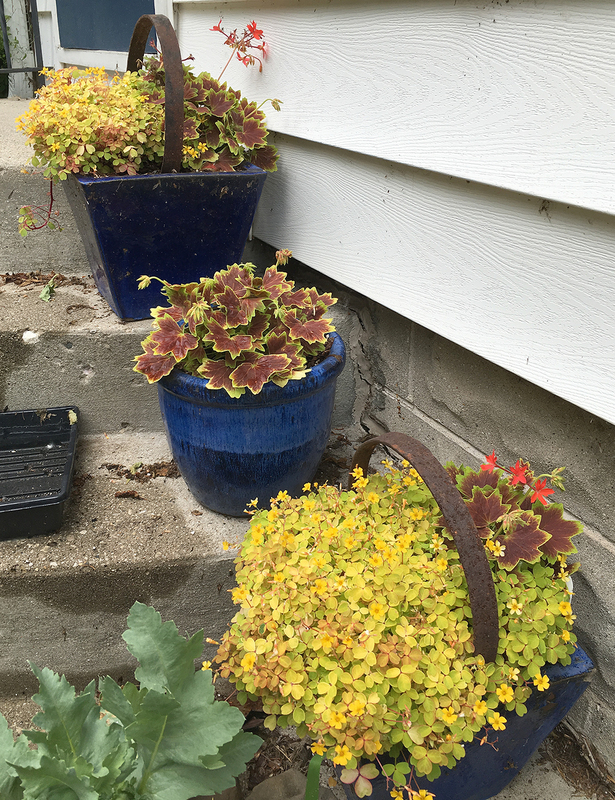 I did go away from the theme a little for the smaller blue pots I like to stack on the stairs to the front door. I quite like this particular geranium and I found it for a great price so it made the cut, along with the need little oxalis I found. 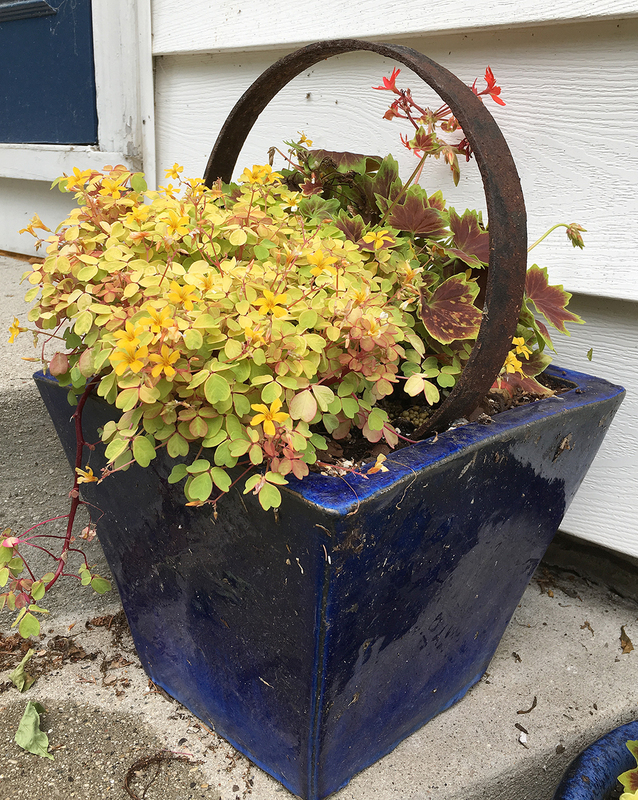 The two square pots also got a metal rings for a little interest (scavenged from a rotted out wagon wheel on a neighbor’s property). 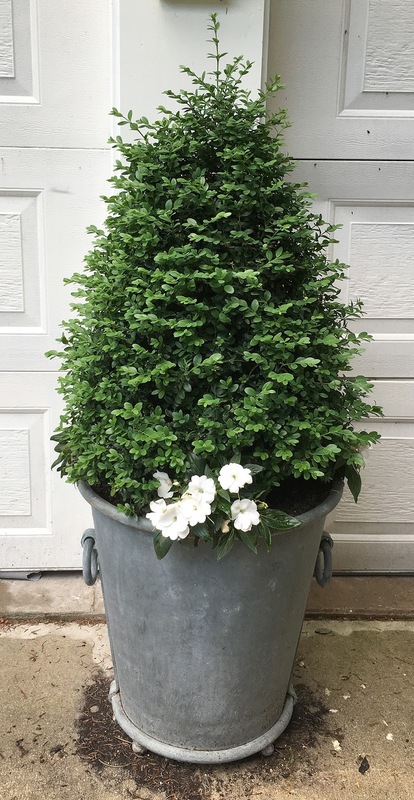 Over by the garage, the boxwood planter (which spent its second winter in the unheated garage and did well) again got a skirt of white impatiens and I love how it’s looking a little unkempt with it’s new growth right now. It will get a trim in a couple weeks. 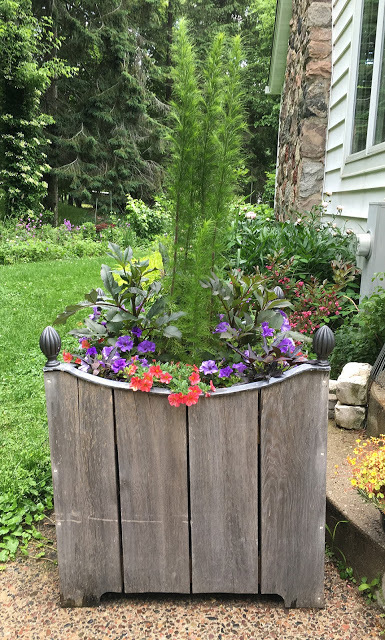 That planter moved between the garage doors to make room for a new planter this year, a metal trough style. The lack of interest on the garage and the pergola has been bothering me, so this bigger planter helps fill a blank space. I’ve also planted two clematis in it, ones that get quite tall, in hopes that they will flop over onto the pergola at some point. The clematis are a bit of an experiment, as this west-facing wall gets a lot of bright light but almost no direct sun. Both of the clematis—’Perle d’Azur’ and ‘Alba Luxurians’—are supposed to be able to tolerate a bit of shade, but I am always wary of those reports. 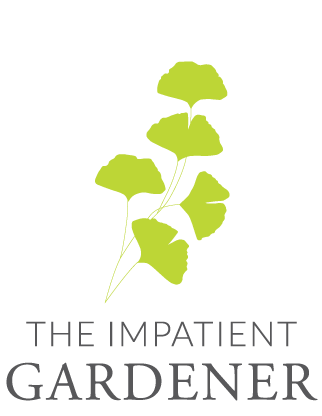 I had hoped to have Mr. Much More Patient build a trellis for the wall to help the clematis make the leap to the pergola, but that’s on hold until later in summer when everyone has more time. For now, a couple of bamboo poles will suffice. Both of these clematis are group 3, meaning they can be cut back in late winter/early spring, which will help keep the pergola (should they ever reach it) looking tidy. 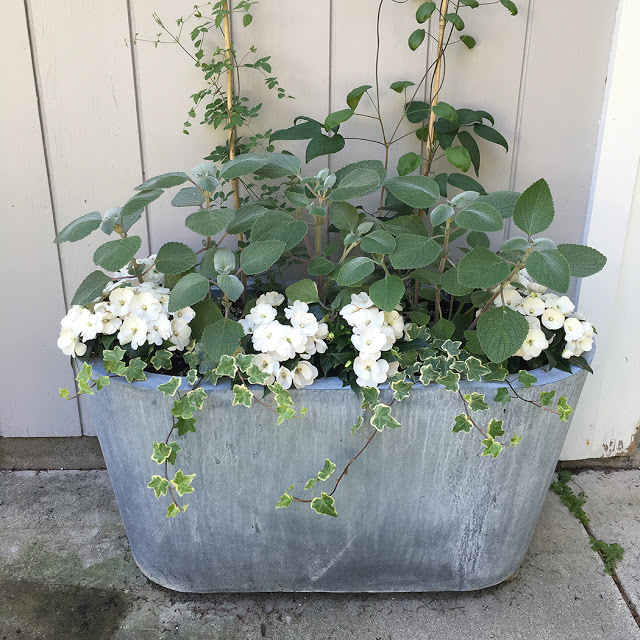 In a rather remarkable show of restraint (I have a bad habit of putting too much in a container), I keep the color palette very simple, just using white impatiens, variegated ivy and Plectranthus argentatus. Maybe there’s something to this whole “keep it simple” strategy as I’m loving how this container is looking. We haven’t mowed the lawn in almost two weeks because, well, life. Fortunately we have patient neighbors who haven’t asked what we’re up to. This doesn’t count as much of a container, but the tree stump that we “planted” in the garden by the garden got a dose of hot pink this year in the form of New Guinea impatiens and I love the effect of it over there. 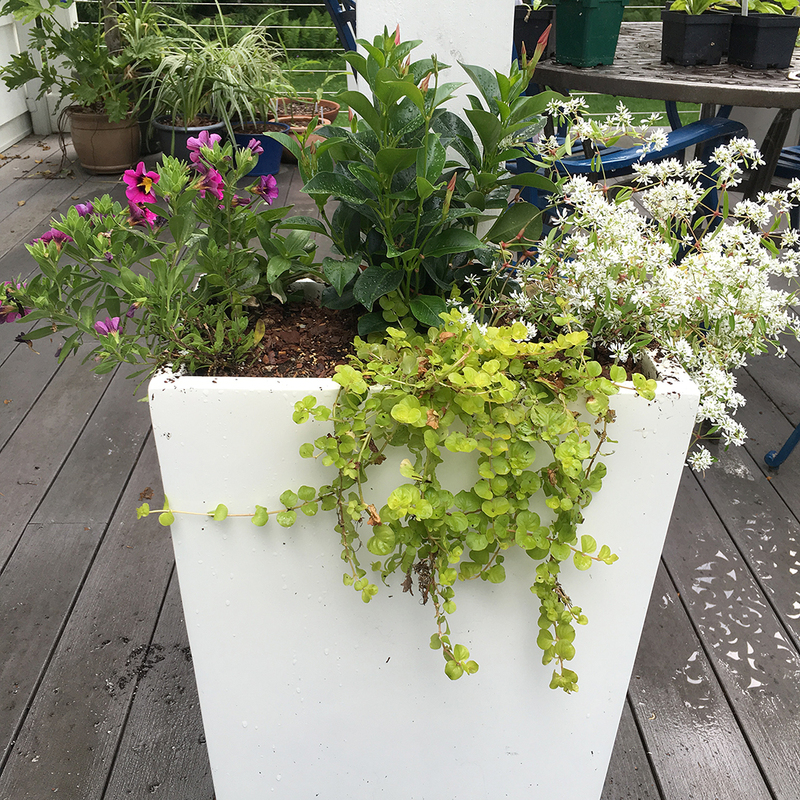 The final containers in my garden are the white fiberglass containers on the deck which I almost don’t want to show you. I first planted these this weekend and they look pathetic. I have been desperately trying to wrap up the major work in the garden and they became just one more thing on the to-do list and they look like it. Let’s hope they grow in, but I almost feel bad about what an afterthought they were this year. I have just a couple more containers to show you that I’m happy with. 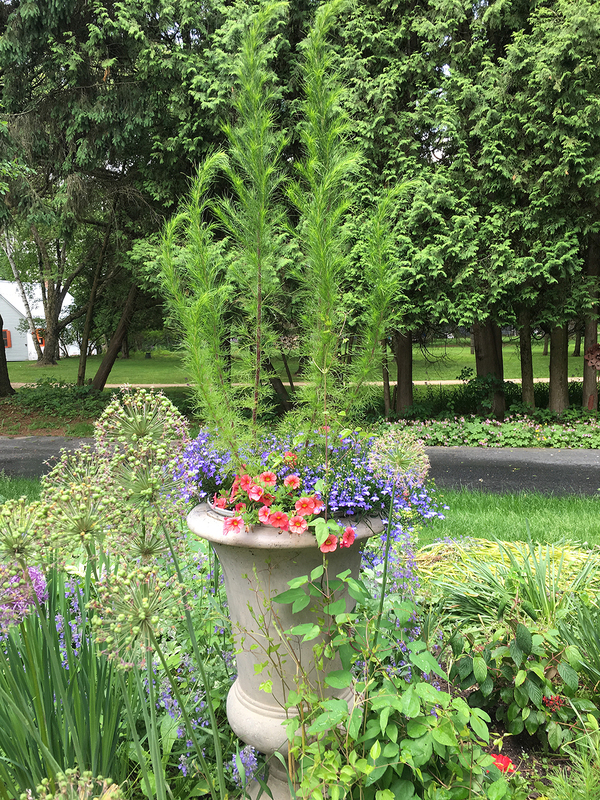 A neighbor down the road asked me if I could do his containers for him this year as he had been trucking them to a nearby nursery every year to plant them. 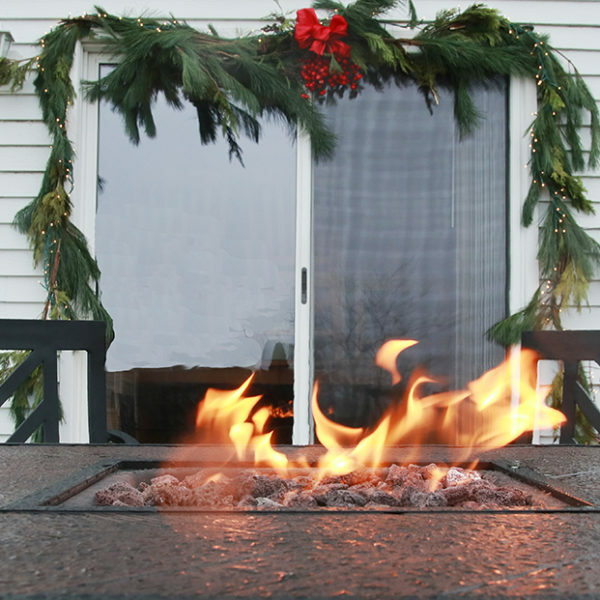 The project consisted of six 6-inch terracotta pots that sit in a holder under the windowsill and two 18-inch pots at the entrance to the small entry deck. 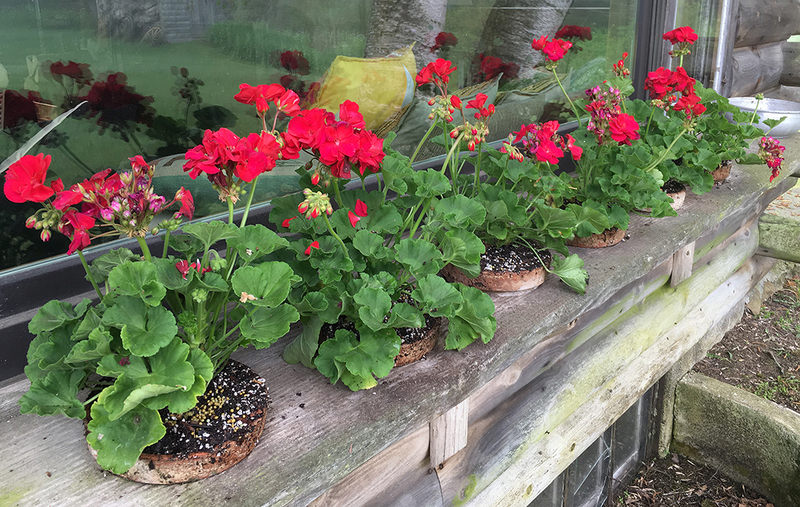 The terracotta pots had to have red geraniums in there because for the last 32 years, that’s what’s been there. I’m not thrilled with planting anything in a 6-inch terracotta pot that I know will dry out very, very quickly, but I’m also not going to mess with tradition. So red geraniums it was. 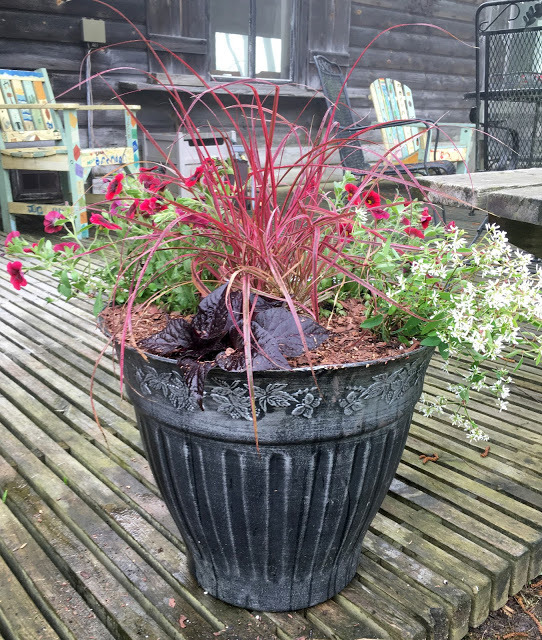 I took the cues for the larger planters from those geraniums and put in ‘Fireworks’ grass, purple sweet potato vine, Euphorbia and a red calibrachoa. P.S. Thank you all for your kind words and understanding about the loss of our dog Rita. It’s very comforting and I’m happy we live in a world where so many other people understand the sadness of losing a beloved pet. P.P.S. Don’t forget to check out the giveaway for a Sneeboer Royal Dutch Hand Hoe and enter to win this great tool. P.P.P.S. As part of my Saturday6 gig with Troy-Bilt I’m taking over their Instagram account this week, so make sure to check me out over there. As a disclaimer, I get paid to work with Troy-Bilt in their Saturday6 program. I'm exhausted just thinking about watering all those containers, let alone planting them. Love the blue pots on the steps. The good news is that most of them are large enough that they won't need frequent watering until it gets really hot out. The self-waterer in the window box is a life saver, but given the early hot weather I have a feeling I'll be sick of the hose soon. 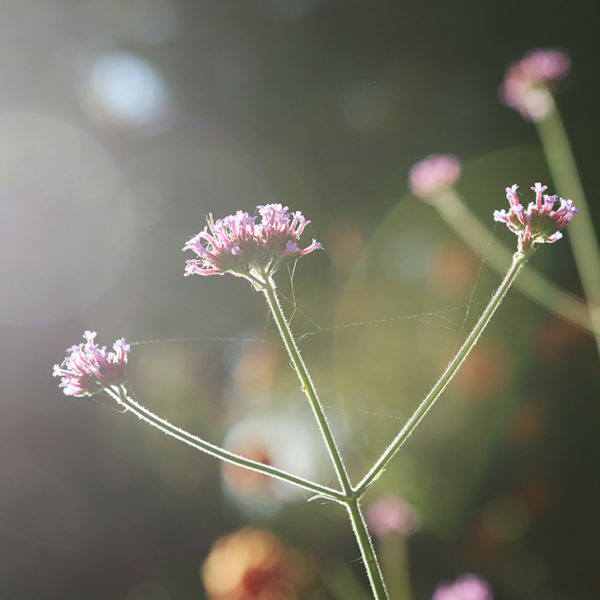 I'm really liking the Meteor Shower verbena. I was iffy on it last year, but the more I see it the more I like it. 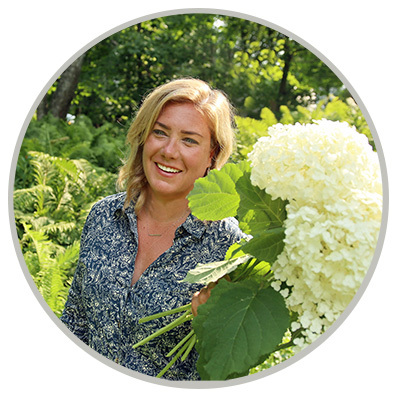 I've only got the one for myself – it's iffy in my yard if I can give it enough sun. The white impatiens around the boxwood look very elegant. These look great! I love the red pennisetum, too. It adds a lot of zing.